The TPS (Temporary Protected Status) Program is a life-saving immigration program that allows foreign nationals to remain in the U.S. and work legally if, while they were in the U.S., something catastrophic happened in their country of origin that prevented their safe return. TPS protects approximately 450,000 people from 10 countries who would otherwise be subjected to disease, violence, starvation, the aftermath of natural disasters, and other life-threatening conditions. Now that the Trump administration has decided to terminate TPS designations for Sudan, Nicaragua, Haiti, Honduras and El Salvador, countless lives are at risk of deportation back to life-threatening conditions and TPS holder parents will be torn from their 273,000 U.S. citizen children. As people of faith, we have a moral obligation to stand in solidarity with our immigrant neighbors and urge our representatives to demonstrate bold leadership. Who should sign the petition? Sign the petition by September 30th to tell Massachusetts federal representatives that we urge immediate action and awareness around the (1) protection of the TPS Program and (2) a pathway to residency for TPS holders. 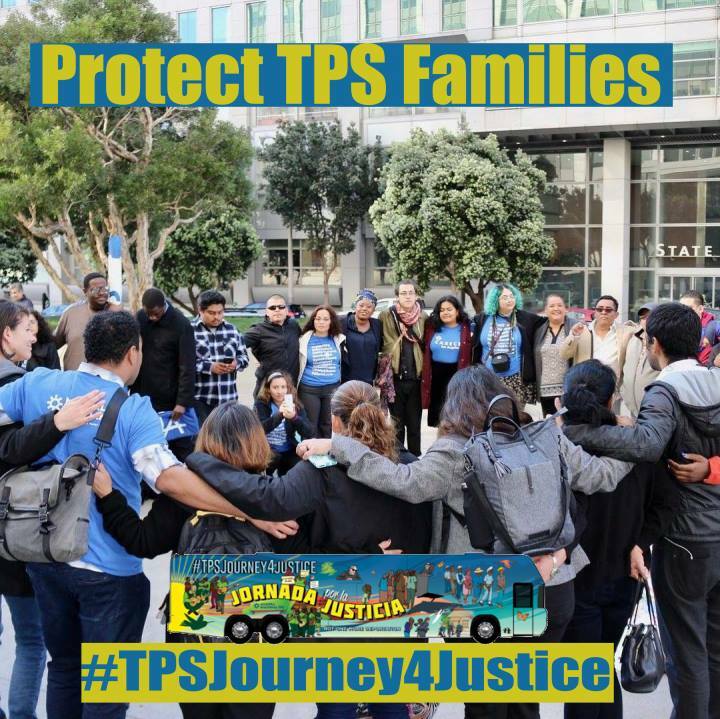 What is the TPS “Journey for Justice” Caravan? 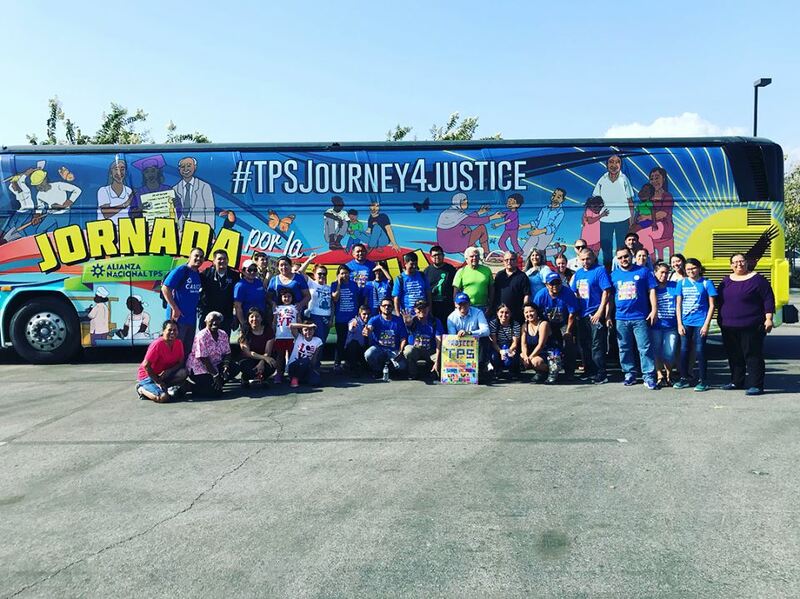 On August 17th, the National TPS Alliance launched the “TPS Journey for Justice Caravan” from Los Angeles. The caravan consists of over 50 TPS holders, from various countries that are currently designated TPS – El Salvador, Honduras, Haiti, Nicaragua, Sudan, Nepal and Somalia – and will join local committees and collectives that have come together to participate in the growing national call to keep families together and fight for permanent legal residency. The caravan – which plans to visit 50 cities in 12 weeks – is set to be in Boston from 9-26 to 10-1. For more information on the National TPS Alliance, http://www.savetps.com. Click here for the Massachusetts TPS Committee Facebook. Click here for the National TPS Alliance Facebook. When are we delivering the petition? On Monday, Oct 1st, a delegation of faith and community leaders will meet at 10 AM outside the JFK Building in Gov’t Center to deliver the petition to our U.S. Senators. After delivering the petition, we will walk to the 11AM TPS Press Conference at City Hall to present our petition, express our continued support, and bid the TPS Caravan justice riders farewell! 10 AM SHARP: Meet outside JFK Building, 15 New Sudbury Street Boston, MA 02203. Please be on time so we are not late to meeting with our senators’ staffers. To join us in delivering the petition, indicate your interest when signing the petition here! For questions, please contact MIWJ Organizer, Sarah Kelley at massiwj@gmail.com.